Our Sierra Vista location has moved to a new address! Guaranteed to Run (G2R): Courses in Sierra Vista are what we call, Guaranteed to Run or G2R. For you, that means once you are enrolled, the course will not be cancelled and your training plans are safe. Instructor Led Training (ILT): ILT is recommended for novice computer students, those who prefer the instructor in the same room, or those who want to comfort of onsite IT help for powering up computers and applications. Hosted Distance Learning (HDL): HDL is perfect for students who want no distractions from their home or work office during their training in our Sierra Vista training center, and the benefits of our center amenities in Sierra Vista. OnlineLive (OLL): Online Live is our preferred by 92% of our students and training organizations. With the flexibility to take training courses from your home or work office, this modality is recommended for intermediate or advanced computer users with the right network, monitor and headset set up. Dedicated or Onsite Training: Perfect for a group of students from the same organization, let our instructors come to you Onsite at your facility or retreat from the office into our Sierra Vista training location for a company wide training. Custom Courses: Not all training outlines fit your custom needs. Let our team of training experts develop the training course perfect for your custom need. We offer hundreds of course starting each week to accommodate your learning and development needs. Here are some of our post popular Sierra Vista based courses or browse all training offerings here. New Horizons enables you to receive training in a learning center that is close to your home or office. Getting away from your typical work environment enables you to free yourself from distractions and focus on the material. In addition, the supportive professional IT staff at New Horizons will ensure your training session is ready to go when you arrive and you will have access to an on-site instructor for assistance as needed. You will be able to get troubleshooting help and have your questions answered without delay. There is parking around the entire building. Tucson International Airport is a public joint civil-military airport owned by the City of Tucson 8 miles south of downtown Tucson, in Pima County, Arizona, United States. It is the second busiest airport in Arizona, after Phoenix Sky Harbor International Airport. 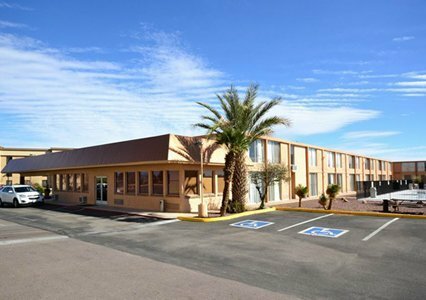 Enjoy a friendly staff, comfortable rooms, and all the amenities you can count on while staying at our smoke-free Comfort Inn & Suites hotel in Sierra Vista, AZ. 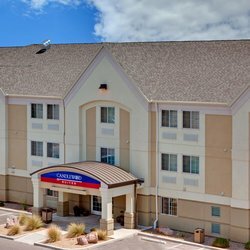 Quality Inn Sierra Vista is minutes away from Ramsey Canyon Karchner Caverns, State Park Arizona Folklore Preserve, and the humming bird capital of North America. Rooms include air conditions, cable, flat screen television, fridge, microwave, and iron and board. Holiday Inn Express is a limited service hotel that provides oversized guest rooms that include a mini-fridge, microwave, and coffeemaker. The hotel has a spectacular view of the Huachuca Mountains, ensuring that guests will always be surrounding by beautiful scenery during their stay. 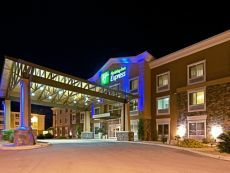 Holiday Inn Express is also close to shopping and restaurants for your convenience. The Sierra Vista Candlewood Suites is a preferred New Horizons partner and offers free high-speed internet and free laundry service. Surrounded by the Huachuca Mountains, the hotel is located near plenty of shopping and restaurants. Candlewood Suites offers extended stay suites that include a kitchenette and eating space. "I am excited to say that I will officially be a new student at New Horizons soon. I feel it important and just to express my sincere gratitude and recognition of one of your staff members, Mrs. Kathryn. I was given several options as to places that I could attend the computer classes that I needed. One of the options I was presented with was New Horizons. I received a call from Mrs. Kathryn and we set up an appointment to go over the many options available and which program(s) would be the best fit for me. I found Kathryn to be very professional, kind and informative; the meeting went well and for several reasons I felt New Horizons was the right place for me. I would like to extend my sincere gratitude to you and Kathryn for this gracious and very appreciated gesture. I will close by saying that through this lengthy and sometimes extremely frustrating process I was impressed by Kathryn’s professionalism and ability to help me stay positive. I think it’s safe to say that we share the same viewpoint of Mrs. Hahne but too many times people tend to take opportunities of expressing negative feedback and not so much when it is positive. I already have many reasons to recommend New Horizons to people that are looking to begin/extend their computer skills, I just wanted to share this information with you as well. " "I just wanted to thank you for the OUTSTANDING instruction provided in the Certified Information Security Manager (CISM) course you taught a couple of weeks ago. I was in your class and I just wanted to let you know that I took the exam this afternoon and PASSED. Obviously, I will have to wait about 10 days to find out how I actually did, but just to PASS was such a relief. I know it was pretty aggressive going after the exam only 2 weeks after taking the course, but I followed your guidance. I downloaded and printed every single manual/document you provided in the Task Window. I put each in its own binder, and read them all --- highlighting as I went through each of them. Of the 4 hours given on the exam -- I took 3 hours and 55 minutes. I actually completed in just under 3 hours - but used the remaining time to go back and revisit all the questions that I "flagged". It was definitely a BEAST of an exam -- but I know for a fact that I would have never passed it, had I not taken your Boot Camp Course. Thank you so much! I will let you know what the final score was --- but I am just so very happy to have passed!!" "I am currently working as a Systems Engineer at Raytheon EWS. I decided to attend New Horizons to obtain Cyber Security certifications and to further my knowledge and experience. From start to finish, the staff provided a seamless learning experience. The training provided by New Horizons instructors has been integral in expanding my knowledge and skill set in support of various programs and projects. I have a deeper and more granular comprehension of network protocols and cybersecurity practices and tools that enables me to support more advanced projects. I have taken over the chair position for Certified Ethical Hacker Workshop provided by Raytheon for internal employees. I am assisting Senior Engineers in focusing their studies to obtain their CEH certification. There are also the intangible benefits that I have gained from training in New Horizons, such as: confidence, leadership, technical communication. I am whole-heartedly grateful to the staff and training provided by New Horizons. I thank you for your invaluable service." "My instructor did an exceptional job. I really liked the way she would provide a summary of each section we went through. And she was super patient. Excel is new to me and she took the time to guide me through it in a way that was easy to understand. And she has a great grasp of teaching adult learners."